Liam’s new movie sees the action star take on the role of a father intent on revenge after his son has been killed in a drug feud, with Liam revealing he understands his character’s motivation. 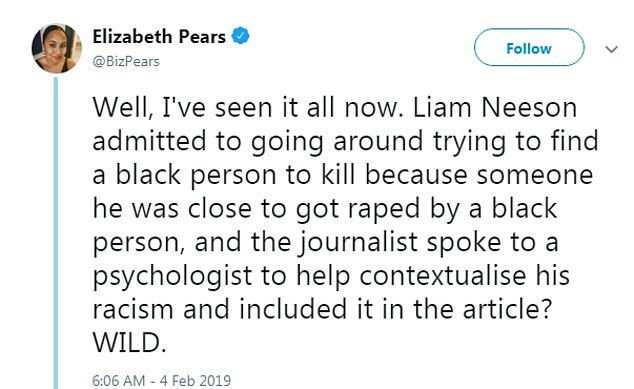 Liam’s words ignited a race row on Twitter from fans and one said he should not be invited to host the Oscars, although he isn’t thought to have been asked. 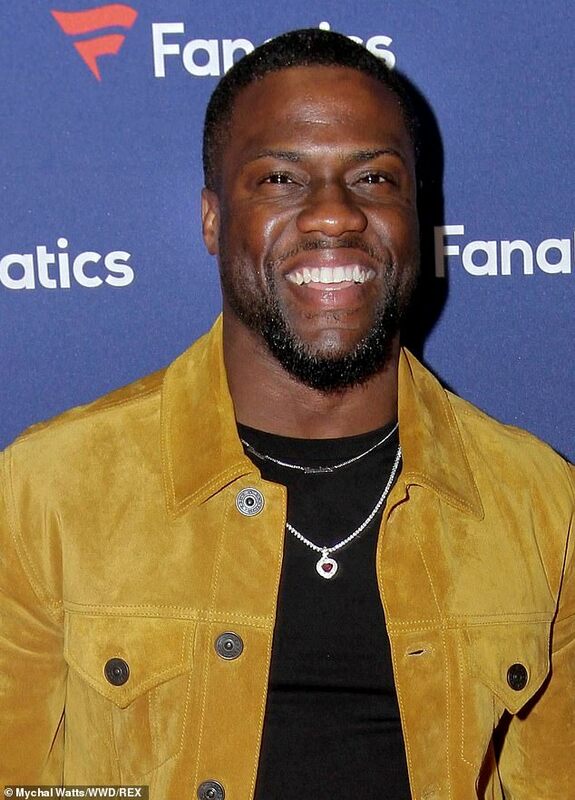 This comment follows the news that Kevin Hart stepped down from hosting the Oscars after homophobic tweets resurfaced from between 2009-2011. They also wrote: ‘Well, I’ve seen it all now. 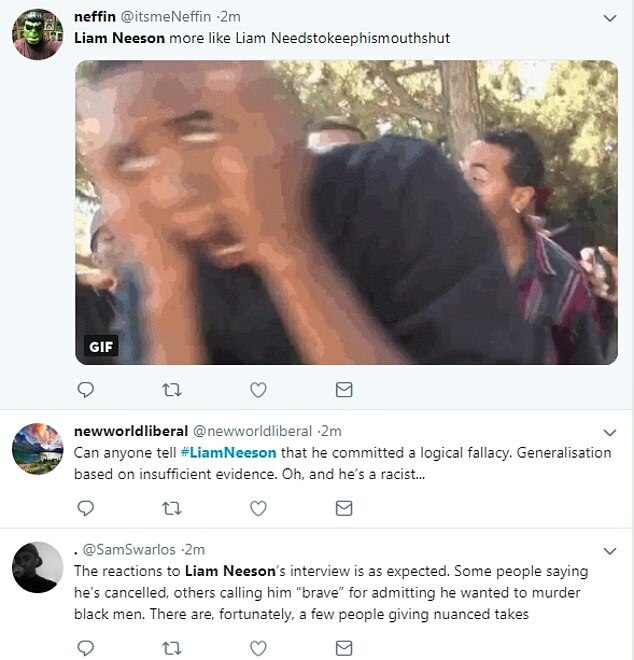 Liam Neeson admitted to going around trying to find a black person to kill because someone he was close to got raped by a black person, and the journalist spoke to a psychologist to help contextualise his racism and included it in the article? WILD. 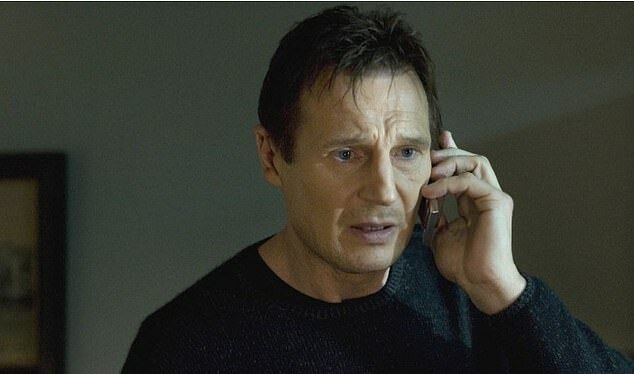 ‘Imagine if Liam Neeson had stopped looking for his daughter in Taken, just picked a random girl out the street & was like “yup, that’ll do”. That s**t doesn’t even make sense in the movies, so why he thought it would make sense in real life is beyond me. A couple of people sympathised with Liam a little. 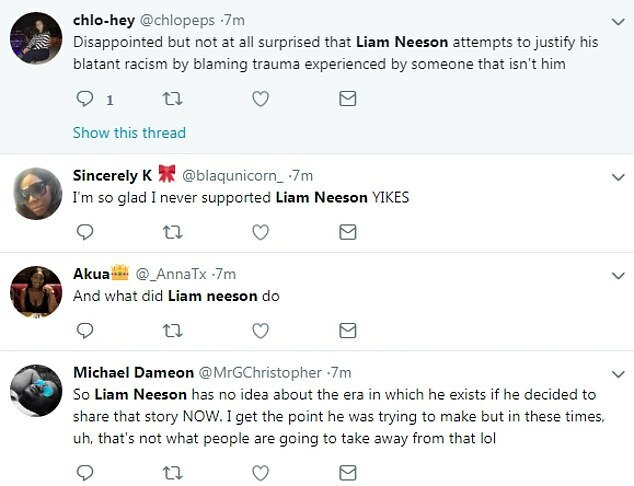 They wrote: ‘I feel like liam neeson is trying to admit that he had a massive emotional and psychological breakdown but i can’t tell. 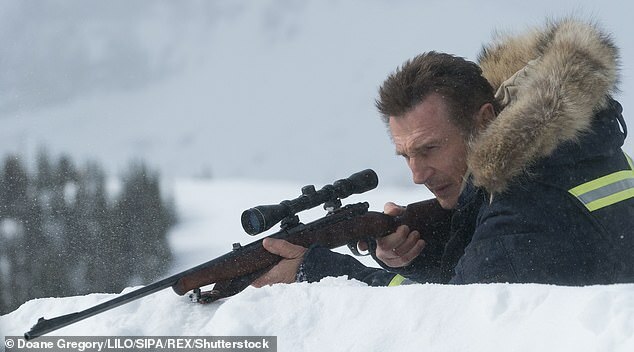 Liam plays Nels Coxman in Cold Pursuit, a small town snowplow operator intent on tracking down the drug dealers he believes to be responsible for the death of his son. The film is a remake of 2014 Norwegian film In Order Of Disappearance and also stars Emmy Rossum and Laura Dern. 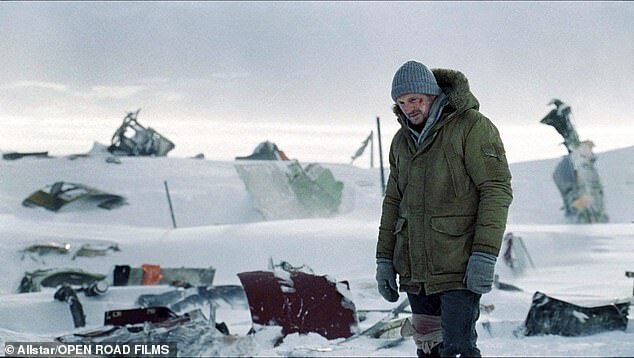 Although winning widespread acclaim for his role in violent thrillers such as the Taken franchise, in September 2017 Liam said he was done with the genre, only to return this year with Cold Pursuit. 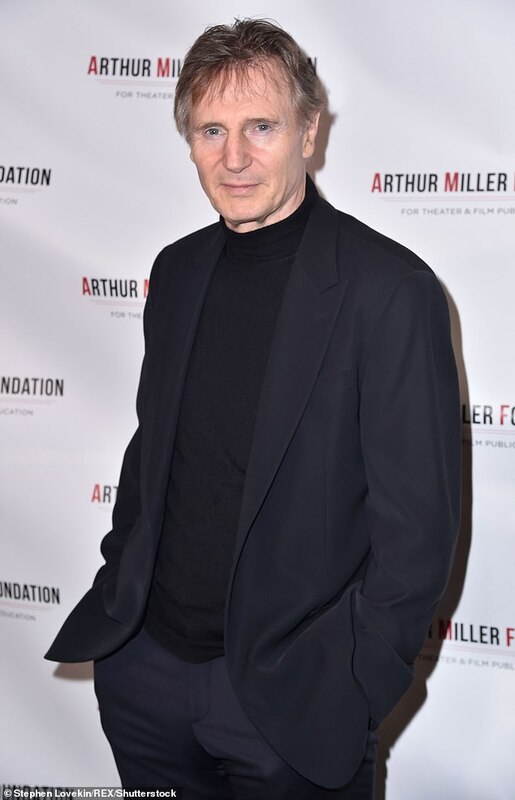 At the time, Neeson said that he planned to stop even though it’s hard to turn down the lucrative offers he gets thanks to his box-office success in the three Taken films, as well as other thrillers. Liam has had a troubled personal life.